I have not read the original! I want to, knowing they are never like the movie. There are many things the same, but of course there is a lot more to the book. Happy to hear you liked Annie’s Stories, Lisa! I have always loved the movie too. There were a few things about the book that surprised me. Ooo. I saw those there too, Linda. In the book they are silver, though. Well, the book is much older than that! About 114 years old! Hi Cindy! 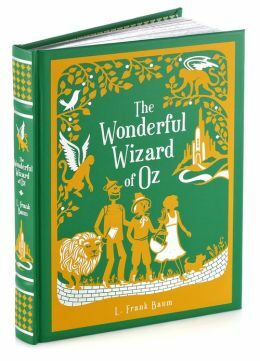 I have never read the book The Wizard of Oz but it has been on my bucket list well over a decade – I never get to it because there are so many new authors and/or new books that I never quite seem to get it done! Thanks for this great giveaway! I understand, Kristen, about too many books and too little time! I browsed through this book and it has some differences from the movie. Would love to own it!